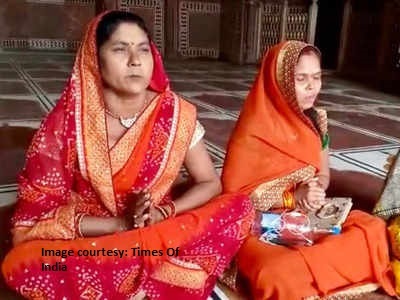 Three women's belongs to Antarrashtriya Hindu Parishad offered Puja inside the 400 years mosque inside Taj Mahal. They lit "dhoop batti" and poured "Ganga jal" inside the Mosque of Taj Mahal. Later, Meena Devi Divakar the outfit's district president says if, Muslims offer Namaz then we offer puja at least once time in a week. According to the CISF commandant their Jawans were not allowed anyone inside the Mosque. According to the ASI there is no evidence of puja inside the mosque and checkeing the CCTV footage.